On this day in history, January 27, 1796, James McHenry becomes Washington's Secretary of War. McHenry was an Irish immigrant who came to America in 1771 at the age of 22. His family started an importing business in Baltimore, but James studied medicine in Philadelphia with Dr. Benjamin Rush, one of Pennsylvania's most ardent patriots. Rush would teach McHenry medicine, but would also shape his political views. After his release in March, 1778, McHenry joined the Continental Army at Valley Forge as part of the army's "Flying Hospital," a hospital unit attached to a battalion. At Valley Forge, McHenry became personally acquainted with George Washington and was soon asked to be one of his personal aides, a position he held for the next two and a half years. 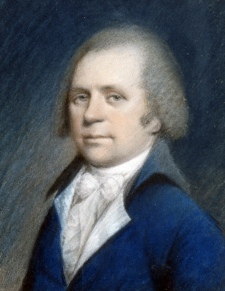 During this time, McHenry saw action at the Battles of Monmouth and Springfield. In 1780, McHenry was transferred to the staff of the Marquis de Lafayette in Virginia. McHenry and Lafayette became lifelong friends and McHenry served at the Marquis' side during the climactic Battle of Yorktown. On January 27, 1796, President George Washington appointed McHenry his third Secretary of War. McHenry's chief responsibility was to oversee the transformation of forts abandoned by the British on the western frontier in accordance with the Jay Treaty. McHenry remained as Secretary of War under President John Adams, but resigned in 1800 when he and Adams had disagreements. After his resignation, McHenry retired to his estate, named "Fayetteville" in honor of the Marquis, where he died in 1816. 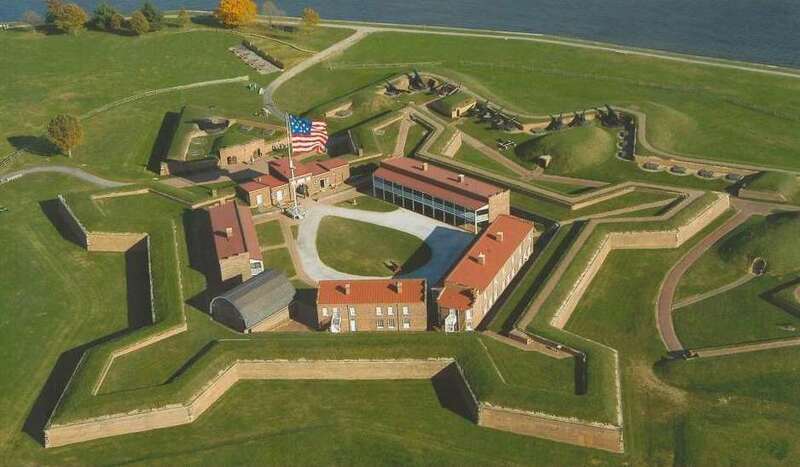 Baltimore's Fort McHenry, where the battle that inspired Francis Scott Key to write the Star Spangled Banner occurred during the War of 1812, was named after James McHenry.